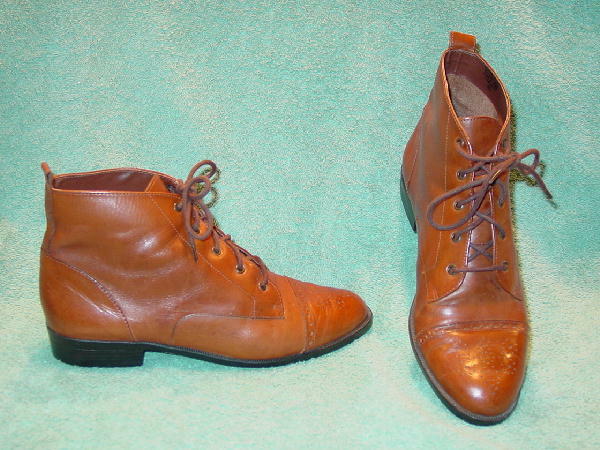 These Calico caramel-tan leather high shoes/boots were made in Brazil. 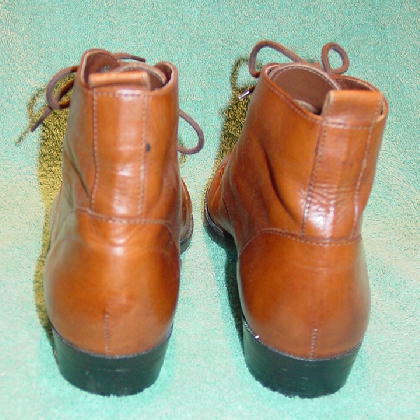 They have brown laces and 5 eyes on each side, and a short pull tab at the back top of each heel. The vamp and toe box have decorative perforations and rounded toes. They have nonskid black plastic soles and heels. There are some scuff marks. The left shoe has a black spot by the top right center. They're from a Chicago model.